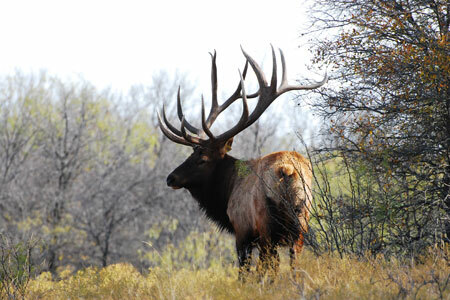 Daily rates on all elk hunts offered are $250 per hunter, $150 per non-hunting guest. Rates include: one full day of hunting, guide and lunch. Lodging is an extra charge. Please refer to the lodging page for rates. A $1,500 booking fee is required. The booking fee will be applied to the hunt. No refunds for cancellations 30 days prior to the date of the booked hunt. Call for information. Included in the hunt: one on one guide, transportation on the ranch, cold storage, and field dressing. Not included: gratuity to your guides and staff, hunting license, firearms and ammunition, butchering of meat or taxidermy. All prices are subject to change, upgrades only on availability. Military discount available.